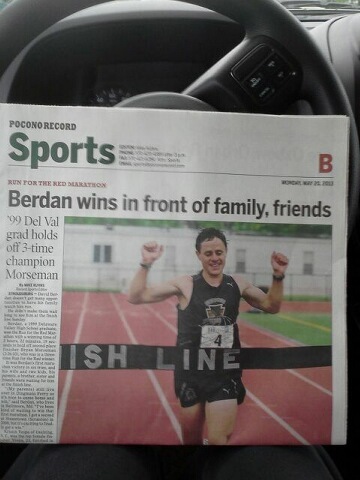 Most have probably already seen this, but I ended up winning the Pocono Marathon on Sunday. The results have me as running 2:22:19, but my watch and the clock both said 2:22:10. It’s a marathon though…9 seconds is not a big deal. For those of you that don’t know, I grew up in the Poconos. My parents still live 45 minutes away from where the marathon finished. 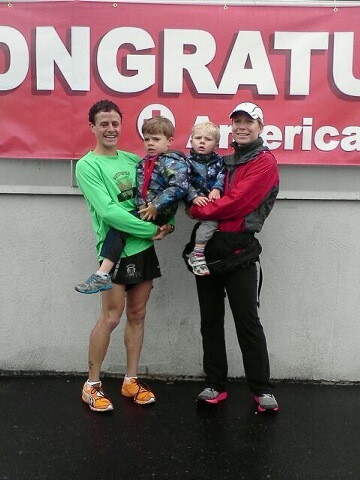 It was nice to have a small cheering section for me at the race. Amanda and the boys as well as my mother, father, brother, and sister were all there to watch the race. The race organizers had to make a completely new course as a bridge was being repaired on the original course. I am glad they were able to come up with a new course and not have to cancel the event, but the new course was extremely difficult! Here is the profile. It’s hard to put into words just how difficult the course ended up being. I wish I had taken pictures of both the downhills and uphills throughout the course. Some of the downhills were so steep that when combined with the wet roads it made me have to be careful not to fall. 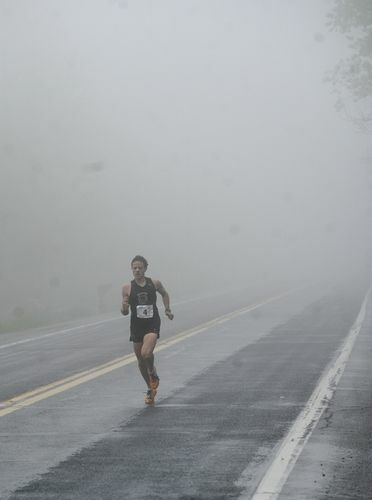 I know….enough complaining, it was a race and everyone else had to run in the same conditions. After 1 mile into the race myself and Bryan Morseman found ourselves separated from everyone else. Bryan and I chatted for a few miles before I started to pull away around 4 miles. At that point I thought I was going to be running the rest of the race by myself. 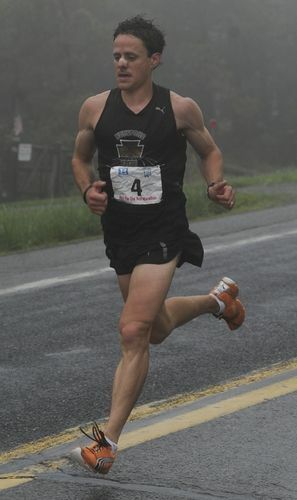 Bryan had won the Delaware Marathon the week before and said he would be happy with second. The course started to drop off a cliff at around 6 miles. 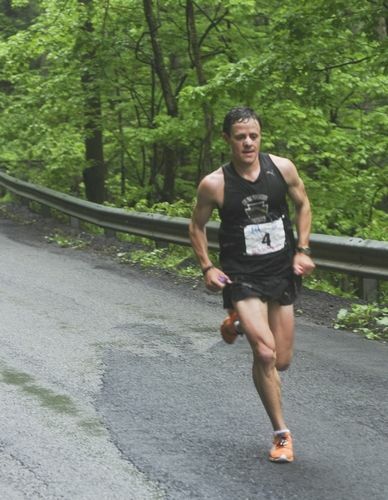 The hills were so steep I didn’t know what to do…both holding back and running fast caused too much pounding. I ran at what I thought was right in the middle. That ended up being 5:20/mile (in hindsight it probably should have been a little faster). Bryan ended up catching back up with me at around 8 miles…he was really moving on the downhills. We ran together (chatting again) for a mile or two and then I pulled ahead and ran the rest of the race all by myself. 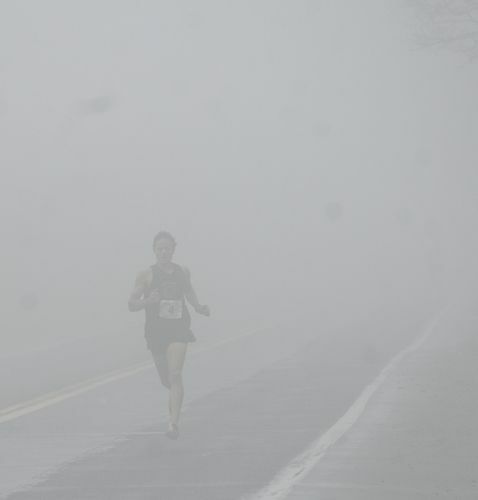 The rest of the race was pretty uneventful. I enjoyed the views and the cheering of the fans throughout the course. It was great having people come out of their houses throughout the race course to support the runners. 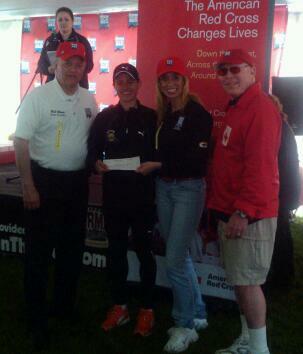 I also want to thank my wife, Amanda for always supporting me and traveling with me to races. 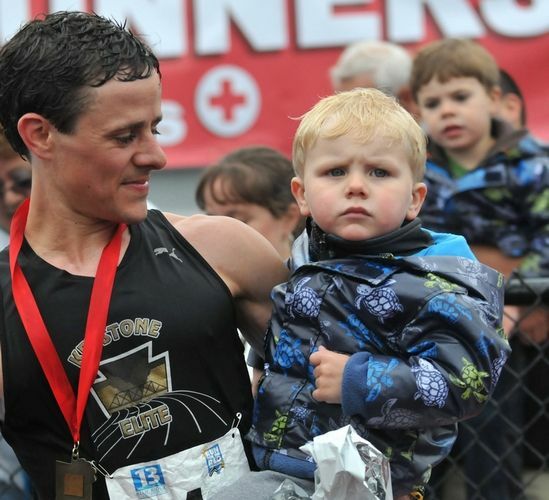 It’s wonderful to have my family there when crossing the finish line! 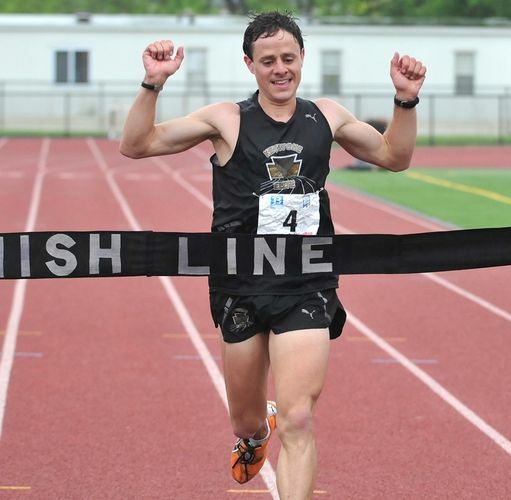 This entry was posted in Uncategorized and tagged baltimore, berdan, dave, david, pocono marathon, run, running, training on May 21, 2013 by daveberdan. Congratulations again, Dave! We are so glad you were able to make it to our race and that your family was able to watch you run. We look forward to having you back to Run for the Red in the future! I’ll be sure to pass along your comments to our race committee. Stay in touch! Thanks again for having me Kate. 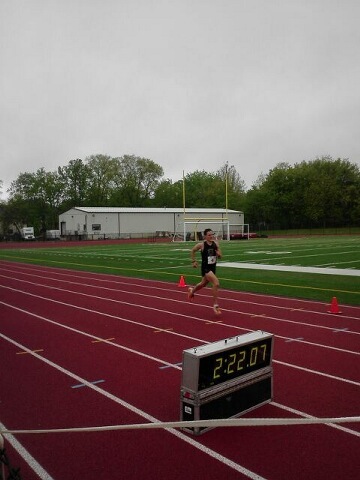 The race was great. My recap focused on the course being difficult, but the event was really well organized and I loved the volunteers both on the course and at the finish. I remember telling Amanda as we were walking away from the stadium how friendly everyone was both on the course and at the finish. I will definitely be back in the future. Glad you had a good experience and happy you got your first win with us (hopefully that means you’ll remember us fondly forever!). Didn’t realize this was your first marathon win! Congrats. With an effort like that on a less challenging course (Houston for example) I’m sure you would have posted a personal best. Thoughts on Olympic qualifying for 2016? Thanks, David. I definitely think it was worth a few minutes on an easier course. I do have a goal of qualifying for the 2016 Olympic Trials Marathon in the fall. I will need to run faster than 2:18 or 1:05. I definitely think they are both doable if I stay healthy and train smart. I just ran 1:05:39 in Frederick on a course that was not flat. I would like to think that it would be under 1:05 on a course like Rock and Roll Philadelphia in September.